The University of Colorado ranking is 48th in the USA and 47th in the world (more research based list) in the University Review College Ranking List. It is ranked as the 88th joint best college by the USnews. It is ranked as the 118th best college in USA by Forbes. Colleges with similar rankings include the University of Wyoming, and the University of Connecticut at Storrs. The University of Colorado tuition fees are $10,789 for in-state and $33,151 for out of state students. It is a moderately selective college taking in 87.7% of applicants. Financial aid offered totals $92.5 million per year, an average of $16,050 per student. SAT scores for admission requirements (25th-75th percentile) are Math 540 – 650, and Reading 520 – 630. The composite SAT scores range from 1060 to 1280. The requirements for ACT (25th-75th percentile) are Composite 24 – 28, English 23 – 29, and Math 23 – 29. University of Colorado at Boulder is located in the United States of America and was founded in 1876. It is a public institution situated in a campus of around 785 acres in Boulder. There are around 25,980 undergraduate students and 5,720 postgraduate scholars, in addition to the 2,100 staff and faculty. 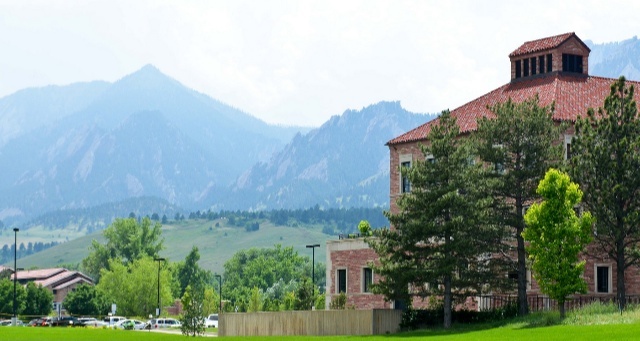 The University of Colorado, Boulder, CO has an endowment of US$793 million. The chancellor is Philip DiStefano and the President is Bruce D. Benson. The schools sports team are the Buffaloes. It is a member of the list of public Ivies. University Colorado Boulder ranking, photograph by iris. The libraries at Boulder house about five million volumes of work. The main library is called the Norlin. As a member of the public Ivies, it is closely associated with institutions such as University of Minnesota, Twin Cities, Ohio State University, Rutgers, and UCSB. Other colleges in Colorado state include the Colorado State University, University of Denver, Colorado School of Mines, and Colorado College.